The last date for filing tax returns is July 31 every year (August 5 this year), but the process is considered complete only after the I-T department receives the physical copy of your ITR-V , unless you have obtained and used your digital signature. Taxpayers, who file their returns online without the DS, have to take a printout of the ITR-V form and send it by regular or speed post to I-T department's Centralised Processing Centre in Bangalore within 120 days of filing the return online. Now, if you have forgotten to send this form, you will not receive the acknowledgment or refunds in time. Those who have filed their returns in late-June or July still have time in hand to complete the process. If you have closed your bank account after entering the account number in your tax return, it could possibly be the reason for not receiving the tax refund. Similarly , an incorrect bank account number in your tax return could be another reason. 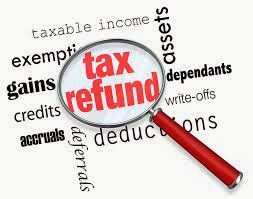 Taxpayers are typically advised to opt for direct credit of the refund amount to ensure quicker processing. However, the income tax department still persists with the cheque mode in certain cases. "High-value refunds (typically the ones above . 25,000, though this threshold may be changed by tax authorities from time to time) are issued by cheque even if the taxpayer has opted to receive those by direct credit," informs Vaibhav Sankla, director with tax consultancy firm H&R Block. The cheques are despatched to the address mentioned in the tax return. "Therefore, the taxpayers claiming highvalue refunds should ensure that they mention their permanent address in their tax returns," he adds. You have to be extremely careful about entering all the relevant details at the time of filing returns, if you are claiming a tax refund . For example, many salaried employees claim refunds on donations made under section 80G, as employers typically do not include it in Form 16. Any error in details like the amount donated, charity's name, address, and particularly PAN, could result in rejection of the refund claim. Likewise, if you have not followed the eligibility matrix (some donations entitle you to 100% exemption, while in case of others, it is restricted to 50%) and have claimed a higher amount, your claim could be rejected or restricted. log in to his account with the I-T department's e-filing portal and follow the simple steps for re-issue of refund," he adds. E-filing was mandatory this year for those with a taxable income of over Rs 5 lakh.